In court, Raigar claimed he felt threatened by the victim's family and therefore committed the murder. 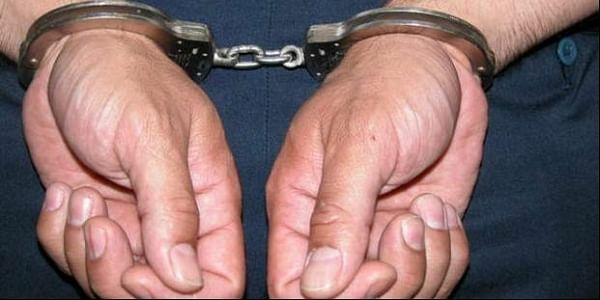 JAIPUR: Shambhulal Raigar, accused of hacking a 48-year-old Muslim labourer, Mohammed Afrazul from West Bengal, and burning his body at Rajsamand in Rajasthan, was sent to remand in police custody for three days. The Additional Chief Judicial Magistrate court at Rajsamand on Friday late evening also sent Raigar's minor nephew, who shot the video of the incident, to a juvenile home. The 15-year-old was produced before the bench of magistrates of the Child Welfare Committee who ordered the boy to be sent to the state's reformatory home for juvenile delinquents. In court, Raigar claimed he felt threatened by the victim's family and therefore committed the murder. However, police have rejected his claims. He also tried to link the offence with a six-year-old incident when he rescued a girl of his locality who had eloped with a man from West Bengal. Raigar had hacked Afrajul with a sharp agricultural tool and poured kerosene and set ablaze the body earlier this week, claiming it was to avenge "Love Jihad". Udaipur Range Inspector-General of Police Anand Srivastava said that there is no medical history of Raigar being "mentally unstable", though it is true that he was unemployed and had a loan of Rs 1.5 lakh on him. He also did not have any criminal background, Srivastava added. Police confirmed that he prolifically exchanged hate messages and videos on social media sites and was influenced by propaganda material circulated by right wing organisations. Meanwhile, the Muslim community in Udaipur carried out a large procession from Hathipole on Friday. The members of the Muslim Mahasabha strongly condemned the incident and demanded death penalty for the accused. They submitted a memorandum to Divisional Commissioner Bhavani Singh Detha demanding the case be heard by a fast-track court and nothing less than 'hanging' for Raigar for the brutality. Raigar, 33, a father of three, loved watching hate videos on phone and was unemployed. He has been part of many rabid groups. He lives in a joint family in Rajsamand and his parents work in Gujarat. While his oldest daughter is 16, his youngest one aged around 13, is seen with him in one of the hate videos gone viral. Earlier, he was doing marble business which didn't work and hence he was just doing nothing at this point of time, police said. However, police claim that Afrajul, who was a daily wager from Bengal, had nothing to do with this story that the killer was referring to.